WordPress vs. Blogger - Which Platform is Best for Your Online Business? WordPress vs. Blogger – Which Platform is Best for Your Online Business? WordPress vs. Blogger (Blogspot) is one of the mightiest ongoing battles that the internet has seen. With blogging still growing in popularity and more than a billion active websites flooding the internet with content today, it’s no wonder these two blogging platforms continue to grow in size and compete on a daily basis. On one side we have WordPress, the free CMS that has completely changed the way websites and content is created on the internet today. The benefit of creating a site with WordPress is that it’s an open source solution and that you can download the software and host it yourself, or simply create a blog through their free WordPress.com website. On the other side, we have Blogger, which is also known as Blogspot, and owned by Google. The growth of Blogger has been fueled by its association with Google and growth outside of the United States, which makes it a quick and easy platform to go live with a blog and start creating content in seconds. 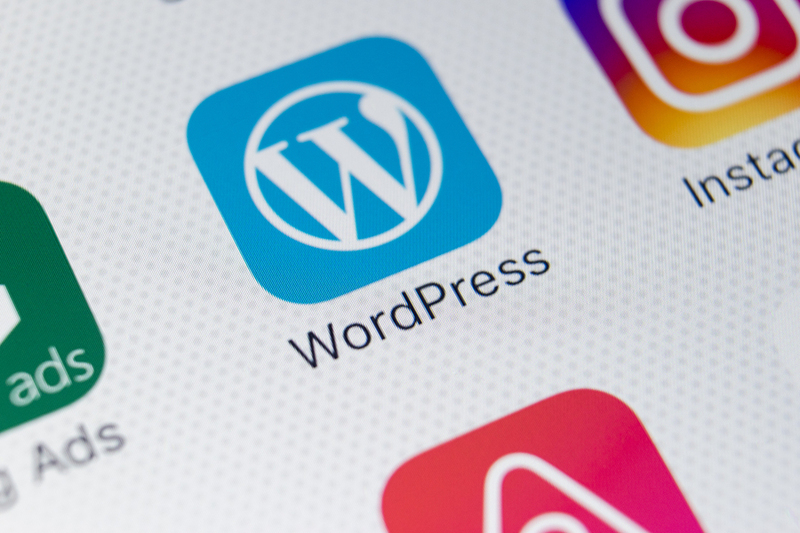 Now that we’ve covered the groundwork for why WordPress and Blogger are such powerful content creation platforms, let’s take a look at some the many similarities and differences between the two networks from a blogging, content creation and ownership standpoint. You can also view the full infographic below for a visual breakdown of such comparisons as well. When comparing WordPress to Blogger, there are many different things you can look at. If you want to create a website or blog in a quick and easy fashion, going with Blogger or WordPress.com are both great solutions. While Blogger is pretty simple and basic in its setup and functionality, it does provide you with a fast and easy way to start writing content right away. WordPress.com does the same, but they also provide upgrades which include domain names, premium hosting and WordPress themes. We can break these comparisons down even further through the data points below. Both WordPress.com and Blogger.com are free to use. WP does offer the ability to set up your own premium hosting, domain name, and WordPress themes. However, if you are going to pay for your WordPress usage, you might as well get your own web hosting and domain name so you own 100% of the content and site. When hosting a site on either of the free blogging platforms, you will not have complete ownership of your site and content. However, that is not the case if you decide to set up your own hosting and simply upload the free WordPress software to your site. Both free blogging platforms offer a limited selection of free themes and site designs from their directories. If you want to get the most out of your site, you can use premium WordPress themes, or even a custom theme when downloading the WordPress CMS and hosting it on your own site. 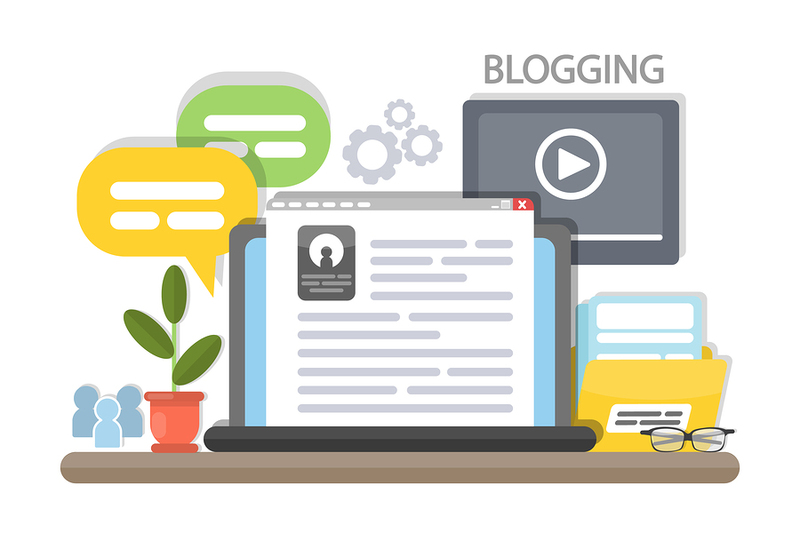 While both WordPress and Blogger free blogging platforms are extremely safe and secure, they are also hosting millions of sites and blogs at the same time. This can cause loading time and performance issues if your site is hosted on these same shared servers. To keep your site the safest and running at the highest speeds possible, it’s recommended to set up your own web hosting and domain name. To learn more about the comparisons between WordPress and Blogger, be sure to check out the infographic below. If you are thinking about even more options for creating your site, you will also find this WordPress vs Joomla vs HTML guide extremely helpful as well. When choosing the best CMS or platform for your site, it’s very important to have a good understanding on what your site will be used for, how you want to create content, what you are going to sell, and any advanced features you might want added in as well. The key takeaway here is, treat your website like a business — not a guessing game or side project! WordPress and Blogger are two platforms that have a direct focus on ‘blogging’ — or giving a site the ability to create content. However, when you look at the two from a business and management perspective, there is no comparison. WordPress is the way to go. Through the free WordPress.org software, anyone can start using the CMS platform to create an online website or blog in minutes, while also having the ability to fully customize the site and also use WordPress themes and plugins to generate more business. In fact, many of the largest businesses on the internet today are powered by WordPress as a content creation and CMS to run their site. Blogger/Blogspot on the other hand, it really just a free solution to help someone get started with a blog. Should anyone go with Blogspot as their CMS and platform of choice, it should only be used for personal use and not business. Not only will it make your brand look unprofessional, it will also limit your growth and waste a lot of your time and resources in the process. Choose Your CMS, then Start Your Email List. Having the best platform for your site is very important, but it’s not the beginning and end of everything for your site. Actually, it really all depends on the type of online business you are planning to run, what you are going to sell, and how you will monetize your content and audience. One of the best ways to grow any business in size and continually attract new customers, is to focus on your mailing list. While most site owners and bloggers will first start with their site content and hope to rank in the search results, this is an ‘old world’ style of thinking. Now, it’s all about putting your time and money to good use, and growing your email list through other means. Here are AfterOffers, we’ve mastered the art of email/data collection and delivering 100% opt-in subscribers to thousands of clients around the world. We’ve also partnered up with some of the highest quality sites to make sure we are providing only the best data to our clients. To learn more about this process and how to get started with your own 100% opt-in email lead generation campaign, contact us today!